Lovely lady owner, made us very welcome. Only about 450 meters into center of resort, with lots of cafes and restaurants. Villa Rena was as a warm bath. Beautyful garden and swimingpool. Irini is a warm personality and her help Pablo is a great guy. The walk to downtown Batsi takes a few minutes through a green little valley surrounded with streaming water. A great place to stay ! Very cozy and friendly. My daughter 10 years old found friends among co-staffers ( dog n cats ) was also most welcomed by lady Rena herself and Mr Pablo. This is not a jet-set destination nor is the island of Andros. But a great place to explore. Snorkelling, hikes ( best when not so hot...) walkes.. skygazing night-time on remote beach etc The premises with the pool, personell and location was perfect for us. Irene, the lady of the hotel, is a wonderful and warm person. The location, the views and the pool are great. Ωραία περιοχή, περιποιημένος κήπος και πισίνα, ευρύχωρο δωμάτιο. Die Lage war sehr zentral nur wenige Minuten zum Zentrum. Die Inhaberin war sehr freundlich und hilfsbereit in jegliche Hinsicht. ο κηπος ηταν ονειρο και η πισινα καθαρη και πολυ ανετη. Ξεκινώντας με την Κυρία Ρένα! Υπέροχος άνθρωπος, ευγενέστατη, συζητήσιμη, χαμογελαστή και πολυ εξυπηρετική! 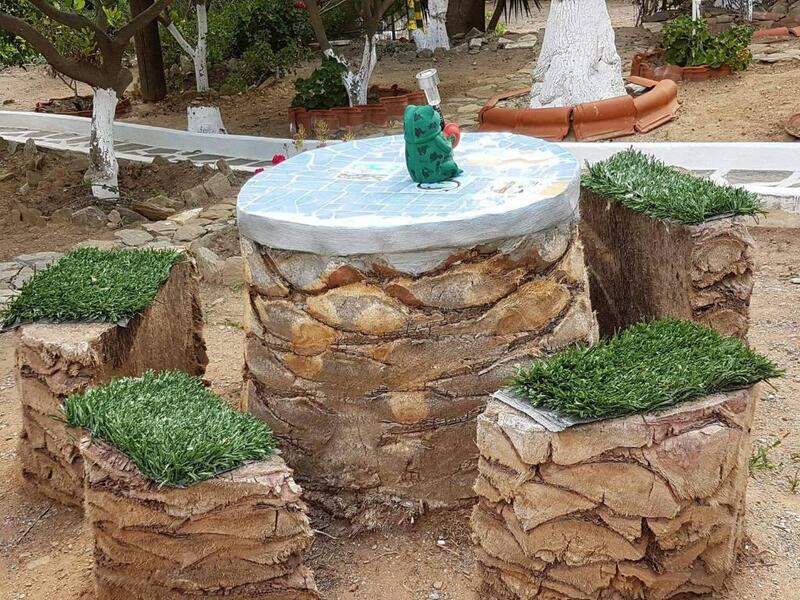 Πρώτη φορά ήρθαμε Άνδρο κι η εμπειρία στο κατάλυμα ήταν φοβερή! Ωραίο, γραφικό μέρος, με όμορφο και καθαρό τον χώρο της πισίνας άλλα και του δωματίου μας! Είμαι ικανοποιημένη με την επιλογή μου και με τα χρήματα που έδωσα! 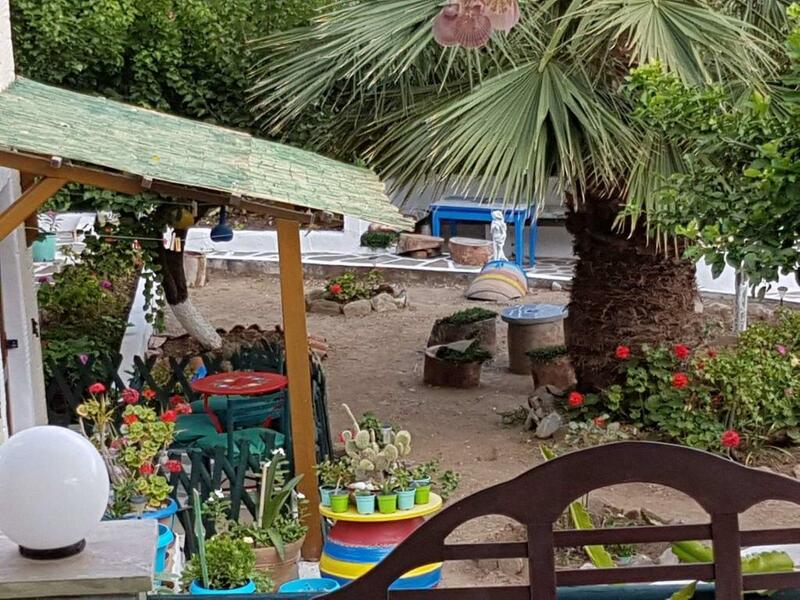 Σίγουρα θα σας επισκεφθώ αν ξαναβρεθώ στην Άνδρο! Ευχαριστουμε για την φιλοξενία! Lock in a great price for Villa Rena - rated 8.4 by recent guests. 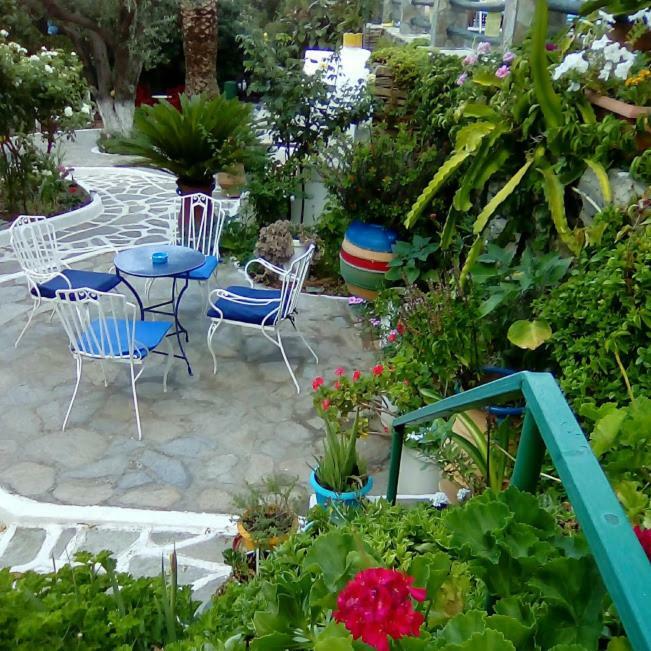 The air-conditioned Rena studios and apartments have a balcony enjoying views over the Aegean Sea. Each is fitted with a TV, iron and safety box. They all have a private bathroom equipped with hairdryer. Guests can enjoy a light meal or a refreshing drink at the hotel’s terrace overlooking the pool. 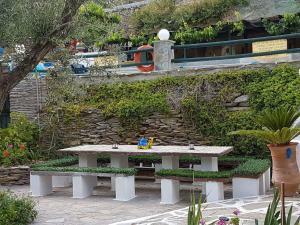 BBQ facilities are also available in the garden. The centre of Batsi is just 200 yards away from Villa Rena, while the nearest beach is at 350 yards. 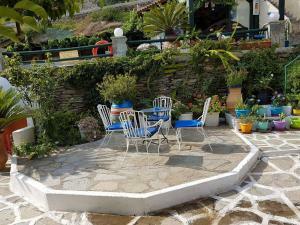 The picturesque main town of Andros is within a 30-minute drive. This is our guests' favourite part of Batsi, according to independent reviews. Villa Rena has been welcoming Booking.com guests since 21 Jul 2011. When would you like to stay at Villa Rena? This air-conditioned studio offers Aegean Sea views. It has a TV, a safe and hairdryer. 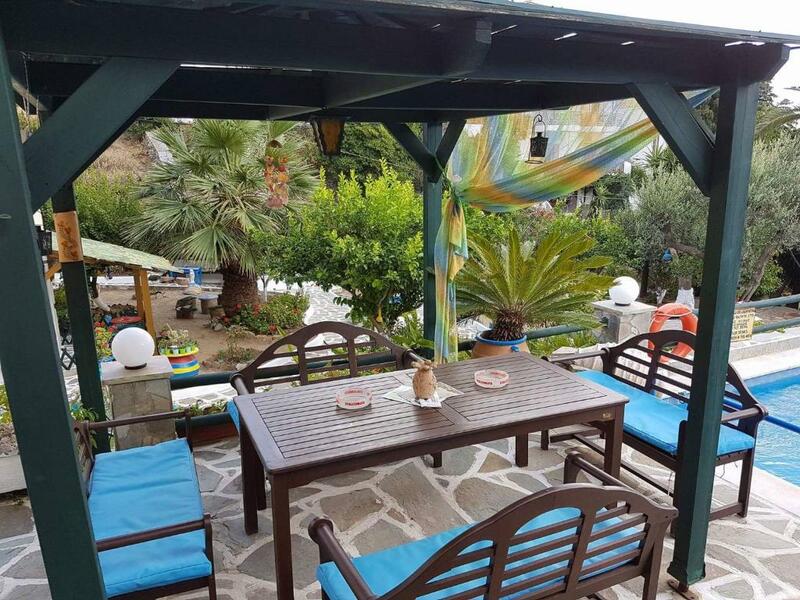 This air-conditioned apartment features 2 bedrooms and offers Aegean Sea views. It has a TV, a safe and hairdryer. House rules Villa Rena takes special requests - add in the next step! One child under 2 years is charged EUR 10 per night in a child's cot/crib. One child under 4 years is charged EUR 15 per night in an extra bed. Villa Rena accepts these cards and reserves the right to temporarily hold an amount prior to arrival. Please note that the swimming pool operates from June till the end of September. Credit card will be used only for deposit payment. The rest of the amount will be paid in cash at the property. As soon as we arrived, the proprietor acted unprofessionally. She received us with a prepared song and dance saying, “Don’t ever come again this time of the year! Never again! I’m going crazy, never come again in such a high season period”. When we first arrived, the room we had booked wasn’t available, and we were placed temporarily in the basement. The basement room was incredibly hot and filthy - the A.C was not working, the bathroom hadn’t been cleaned, there was hair all over the shower and floor, the floors were dirty throughout the room, and the fridge was filled of dirty basins. It appeared that this room was not fit for guests, although we had already paid 90€!!!! -it looked like the janitors room. The second day they transferred us to our room, which wasn’t any cleaner, but unfortunately we had to stick with it because we had paid in advance for the whole stay. We made our reservations through the reputable platform of booking.com in order to ensure a pleasant stay for our vacation (as we have never had a problem with our bookings in the past). However, I (as a tourist) was left disappointed and my girlfriend (a Greek) was utterly disgusted with the service recieved as it portrays the wrong impression of her native country. 1.Cleanliness 2.Amenities 3. There could be a standard brwakfast in this price 4. Parking was not always feasible close to the place and even then it was not safe. Location is a bit of a climb from beach and restaurants. For us this was not an issue but people who are have difficulty with stairs need to be aware. The atmosphere, view and staff. The excellent maintenance (the maintenance guy works around the clock on it). Helpfulness of staff (with car rental, taxi, etc.). Pool is awesome.